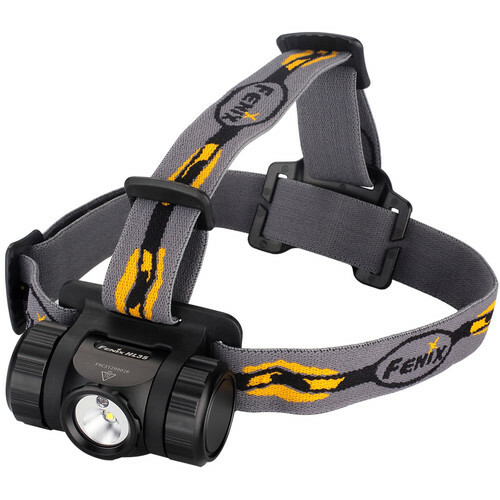 Designed for low-light and after-dark outdoor adventures as well as emergency preparedness, the Fenix HL35 Headlamp is a versatile illumination tool with both white and red LEDs, variable outputs from 0.5 to 450 lumens, and the ability to run on both alkaline and rechargeable batteries. It boasts a runtime of up to 600 hours in 0.5-lumen moonlight mode. The Cree XP-G2 R5 neutral white LED, with a lifespan of approximately 50,000 hours, can deliver outputs ranging from a dim night light to a brilliant 450 lumens when using 14500 lithium-ion batteries. An orange-peel reflector gives the 90° spill beam a smooth, even character, and the lamp tilts 60° to suit your needs. The secondary red LED can be set to flash or used constant-on for reading and other tasks with minimal disruption of night-adjusted vision. The HL35 is rated IP68, dustproof and submersible to 6.6′ for up to 30 minutes, and impact-resistant to 3.3′. Its housing is Type III hard-anodized aluminum and its lens features anti-reflective coating for optimal light transmission. 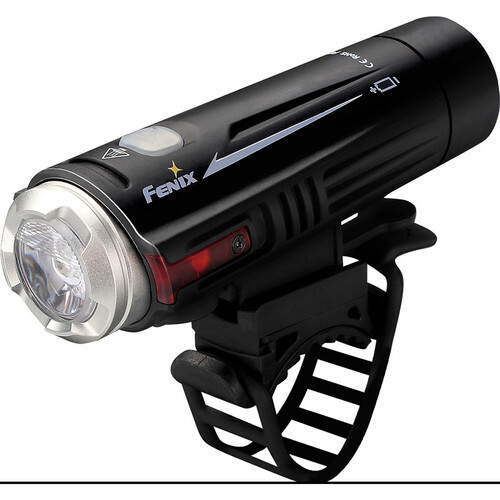 See and be seen with the BC21R Bike Light with Rechargeable Battery from Fenix Flashlight. This lamp shines at outputs from 100 to 880 lumens and features an Optimized Dual Distance Beam that optimizes up-close and long-range vision, and can be mounted and dismounted quickly. A Cree XM-L2 T6 neutral white LED is the main light source; the BC21R also has red side lights that mimic the main light’s mode, flashing or constant-on. The light will fully charge via micro-USB in about four hours. Settings include low, medium, high, turbo and flash. The power button will start to flash if battery power drops below 20 percent, and you can check the power level with the light off by single-clicking the power button – it will stay on at 60 percent or higher, blink slowly at 20-60 percent and blink fast below 20 percent. The light has built-in overheat, over-charge, and over-discharge protection, and its digitally regulated output assures consistent performance. Rated at IPX6, it can withstand rain. It comes with a quick-release mount, mounting shim, and strap, an 18650 rechargeable battery, charging cable, and spare O-ring, and is covered by the Fenix lifetime warranty. Whether you’re an enthusiast or a professional, you’ll find the Fenix SD20 LED Diving Light useful in your underwater activities. Designed for use as deep as 332 feet, it offers one-hand output selection and a maximum output of 1000 lumens. It’s also a versatile light for dry-land use. The light offers low and high white-light settings with outputs of 400 and 1000 lumens respectively, and a red-light setting with an output of 105 lumens. You can choose the brightness setting with one hand using the rotating magnetic selection ring. The SD20 is built to withstand the challenges of the underwater environment with a dual-layer, corrosion-resistant aluminum body tube. It comes with a high-visibility adjustable lanyard and a large integrated lanyard loop to keep it handy while exploring, observing wildlife or conducting subsurface inspections. Built-in safeguards include digitally regulated output for consistent performance throughout the battery life, intelligent over-heat protection, reverse polarity protection from incorrect battery installation, and a low-voltage warning so you’ll know when it’s time for a fresh power supply. 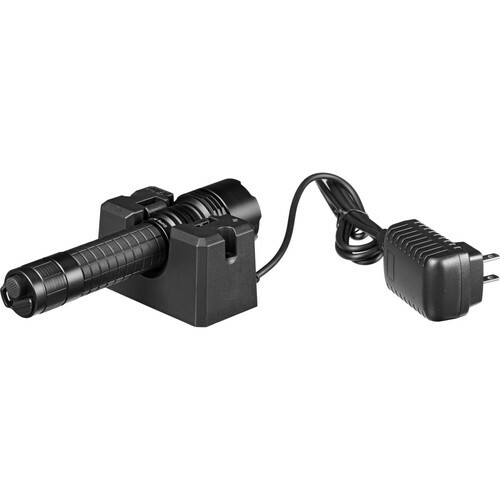 The 8.2″ light runs on two 18650 user-supplied rechargeable batteries or four CR123 cells. It weighs 8.6 ounces without the batteries. 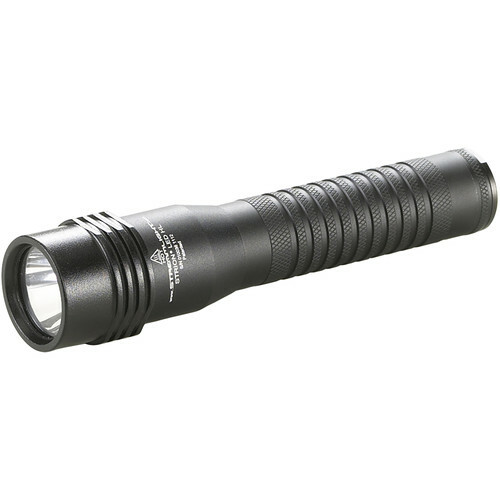 Make a handy addition to your tool crib, professional, or outdoor gear with the lightweight yet durable Streamlight Strion LED HL Rechargeable Flashlight. Its C4 LED produces from 125 to 500 lumens of bright white light that you can use for illuminating a path on your mission, trail, or a campsite with high, medium, low modes. Signal your friends or rescue teams with a strobe or momentary on modes. To provide a beam of constant brightness regardless of battery status, the flashlight has a power-regulating circuit. The housing is made of lightweight and durable aluminum with an impact resistance rating of 6.6′. It is also gasket-sealed to offer water-resistant performance and ensure flawless operation in adverse weather conditions. For added protection when you break window glass with its extended head rim, the lens is made of impact-resistant tempered borofloat glass. To offer comfort and versatility, the light also features a non-slip textured handle and semi-textured tailcap pushbutton. 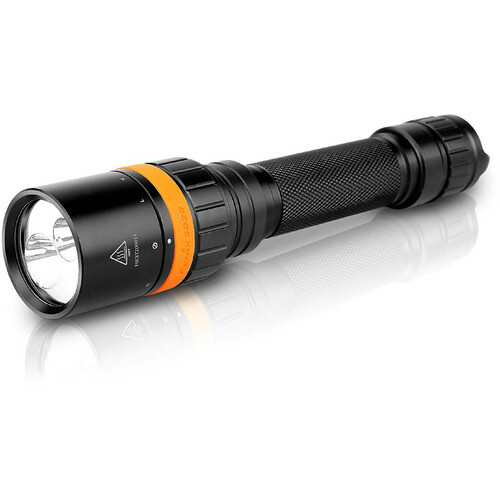 A palm-sized light with big performance and innovative design features, the Fenix RC09 Rechargeable Flashlight is suited to essentials-kit and everyday carry use. It can hang upside down from its magnetic tailcap, the magnetic port makes attaching the charge cable easy, and there are no dead alkaline batteries to dispose of. Featuring four output levels from a low of 5 lumen to a maximum 550 lumen, the RC09 is also equipped with a disorientating strobe setting. A single switch on the body gives you access to all the output intensities and specialty strobe modes. The housing is made of light and durable aluminum with a Type III hard anodized finish. 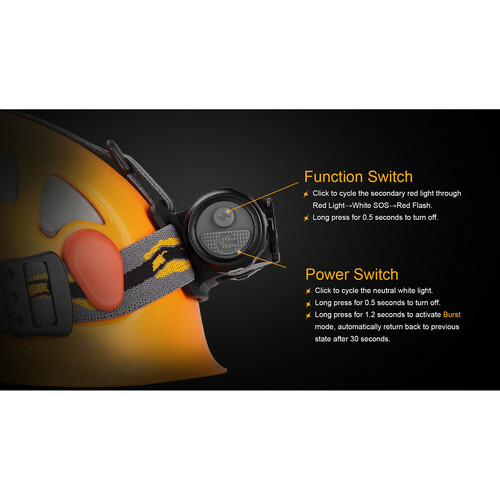 It is impact-resistant to 3.3′ and IPX8-rated to be submersible to 6.6′. 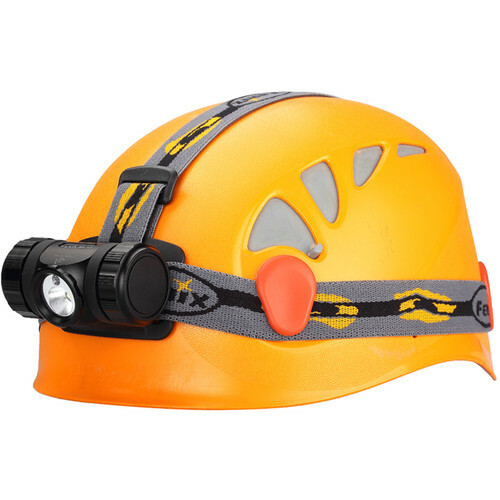 The tailcap is magnetized, offering countless options for positioning the light for hands-free use. You can carry the light bezel-up or bezel-down, thanks to the two-way clip. The USB charge cable snaps into the magnetic port on the neck of the light to recharge the included 16340 lithium-ion battery. Lockout mode assures the light won’t be turned on accidentally in your pocket or pack, and there’s a low-voltage indicator to warn you when it’s time to recharge. Reverse-polarity protection guards against damage from an improperly installed battery. Featuring two levels of tactical illumination, ambidextrous switching, a slender ergonomic design, and legendary SureFire reliability and durability. Features large, tactile momentary and constant-on switches on both sides for precise control by left- and right-handed shooters. Selecting the LED’s output is achieved by activating the light in constant-on mode and then pressing the output-mode selector switch until the desired output level (600 or 200 lumens) is set. The selected output can then be left in constant-on mode or switched to momentary activation, and it stays at that output level until reset. 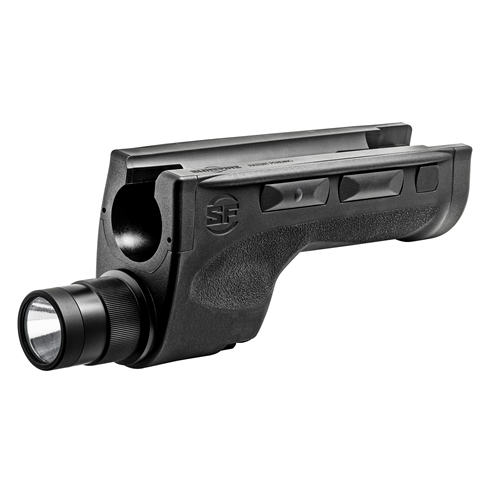 Every DSF-Series WeaponLight also features an integrated system-disable switch to prevent accidental activation during transport, storage, or stealth operations. With four brightness settings useful for outdoor and all-around use, and instant access to a 1,000-lumen strobe that can disorient an adversary, the Fenix TK16 LED Flashlight combines the tactical with the practical in a sleek and sturdy package. At 5.5 x 1.3″ and 4.3 oz (plus batteries), it can serve as an everyday carry light. The TK16 features dual tailcap switches – one for momentary on and on/off, the other for cycling through settings and instant strobe. Brightness settings range from 10 lumens on low to 1,000 on turbo; the maximum runtime is 150 hours on low. The light comes from a Cree XM-L2 U2 white LED with a lifespan of 50,000 hours. 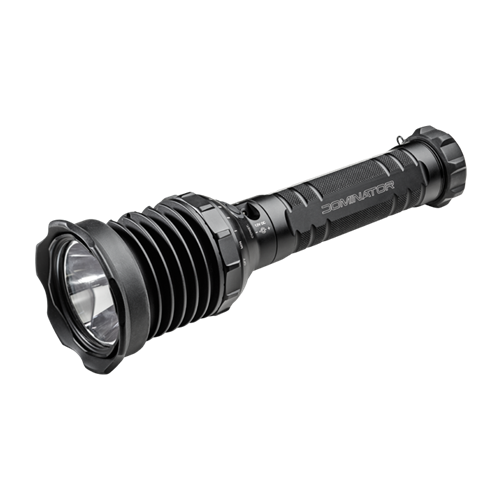 The light runs on a single user-supplied 18650 or two CR123 batteries, and features active and passive over-heat protection, digitally regulated output, and reverse-polarity protection. 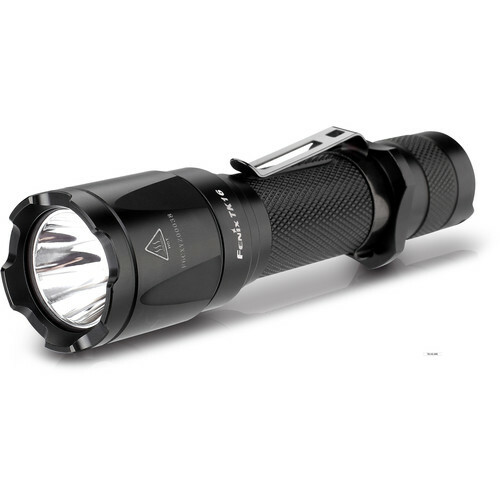 Complementing the light’s performance is a lightweight and durable aluminum alloy body with a protective corrosion and scratch-resistant type III hard anodized finish. The light is impact-resistant tested to 3.3′ drops, and IPX8-rated to be submersible to a depth of up to 6.6′. 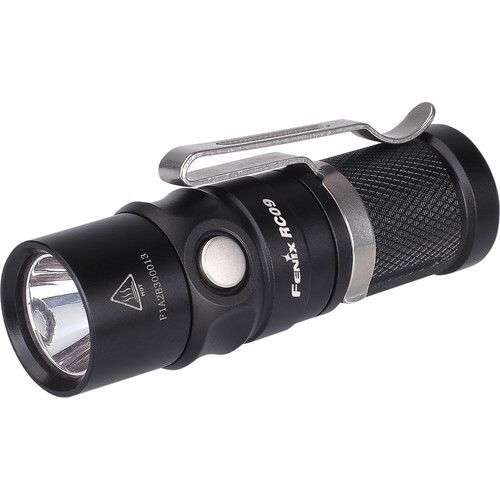 Designed for first responders, law enforcement & tactical professionals, or search & rescue personnel, the Fenix RC20 Rechargeable LED Flashlight is a powerful and versatile illumination tool that is ideal for use as an EDC light. The light’s abilities start with four output levels from a task-orientated 10 lumens to a darkness-piercing 1000-lumen turbo mode. For emergency situations there is a 1000-lumen strobe mode that is instantly accessible to use as a signal or for disorientating. The light’s output capabilities are able to be customized to have access to all four outputs and the strobe for general use, or a simplified mode which only has the 150 and 1000-lumen outputs available plus the strobe. This simplified mode reduces a user’s available options so that the chance of confusion is reduced in high-stress situations. Complementing the light’s performance are construction and electronic systems that increase the durability and longevity of the light. Its lightweight and durable aluminum alloy housing has a Type III anodized finish that is scratch and corrosion-resistant and deep grenade grip provides slip-resistant handling in cold and wet conditions. The housing is O-ring sealed to give it an IPX8 rating making it waterproof and submersible to 6.6′ for up to 30 minutes. A battery level indicator gives you feedback on the state of the battery charge while short cicuit, overcharge, and discharge protection help prevent malfunctions. Addtionally, active and passive overheat systems safeguard the light. This light runs on the included rechargeable Li-ion batteries and comes with a charging cradle and cord.